The hospitality of the host, the room was cleaned daily, we were even treated with cookies by Miss Betty, wonderful woman! A spacious apartment with 2 bedrooms with very good beds. Host Betty was just the best you could wish; a warm welcome with fresh fruit and superb marmalade and one night she brought us delicious pastries. Very close to beachfront, superb coffee bar at 2 minutes, very nice organic supermarket with nice staff and a few restaurants and bars in the village. A car can be practical but transport with bus is not bad at all. Just a fine place for a relaxed vacation. Betty is the best host ever, she brought us cakes and even washed our clothes. The apartment is beautiful and the terrace is so nice. Betty is a wonderful host and thé studios are lovely ! Merci ! Very good location, and Betty was very kind and carefully. Everything was just perfect and Betty is the best host ever!!! 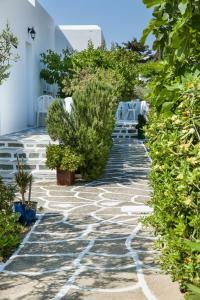 Green surroundings. Easy and enjoyable walk to the beaches with wonderful swimming. Very good food in walking distance. Friendly helpful supermarket with everything one needed. Very nice rooms close to the beach bus stop and shop! Betty makes it even nicer. She made us feel very cared for! Thank you so much! Super nette und diskrete Betty, Internet, Wäscheservice, feine, selbstgemachte Orangenkonfitüre, warme Bettdecken und funktionierende Klimaanlage und wunderschöner Ausblick auf die Olivenbäume. Lock in a great price for Betty Apartments – rated 9.6 by recent guests! 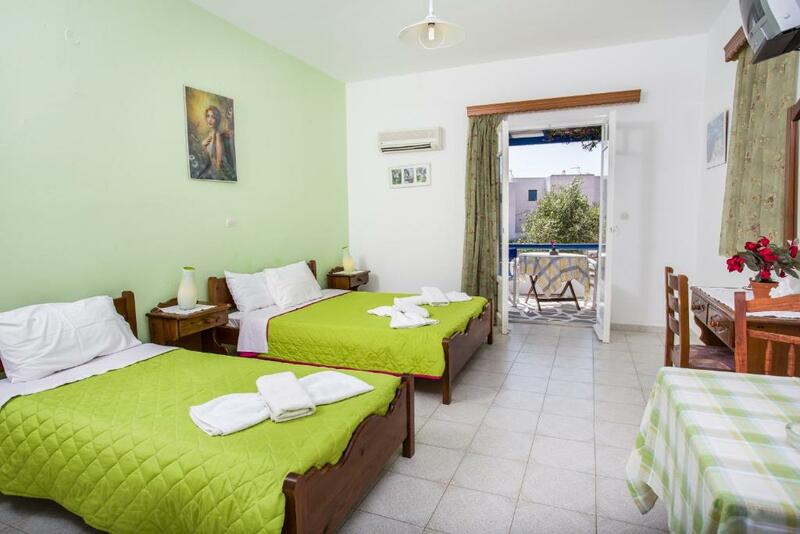 Surrounded by an olive-tree garden, the family-run Betty Apartments offers self-catered and air-conditioned apartments with furnished balcony. Drios Beach and its scenic fishing port are just 350 feet away. 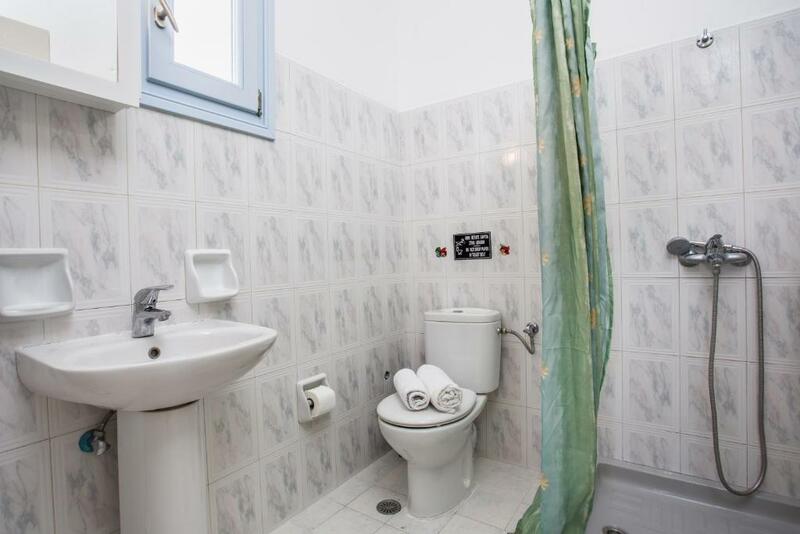 Each of the bright and airy Apartments Betty has its own bathroom, and features a TV and a kitchenette with fridge. Guests enjoy views of the garden from their balconies. Guests can find freshly baked bread and pastries at the bakery, located just a few feet from the apartment complex. Seaside taverns, an organic food store and the bus stop are also within a short walk. Apartments Betty is very close to the beach of Drios. A 15-minute walk across the coastline will take you to the Golden Beach. The port of Parikia is a 25-minute bus ride. Free private parking is provided. When would you like to stay at Betty Apartments? 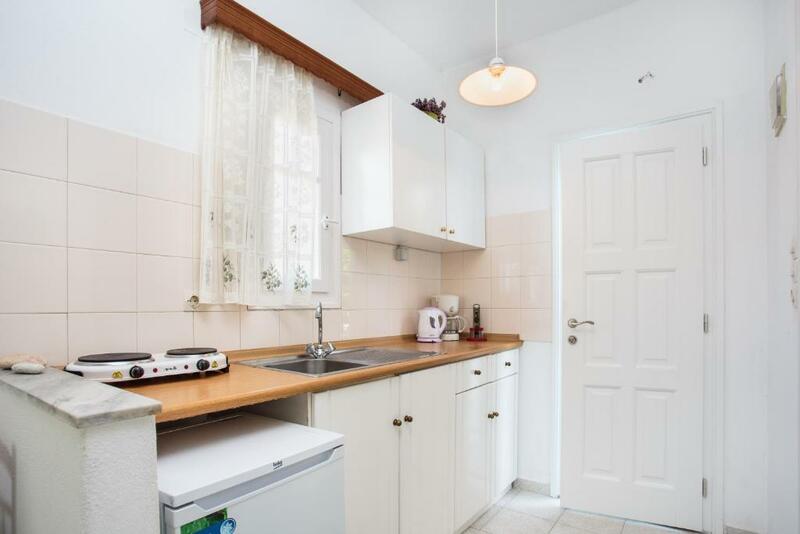 Spacious apartment with kitchenette, TV and air conditioning. 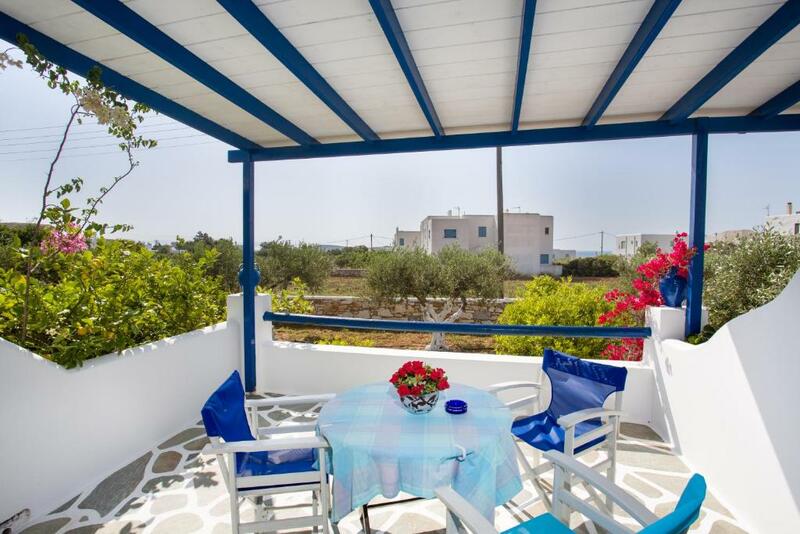 Features 2 bedrooms and a private balcony with views of the garden. 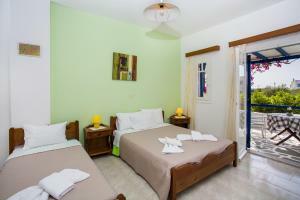 Spacious room with kitchenette, TV and air conditioning. Features a private balcony. House Rules Betty Apartments takes special requests – add in the next step! Betty Apartments accepts these cards and reserves the right to temporarily hold an amount prior to arrival. Please inform Betty Apartments of your expected arrival time in advance. You can use the Special Requests box when booking, or contact the property directly using the contact details in your confirmation. The cooking plate is not very strong but no worries; plenty of good restaurants within a few minutes. It was spacious and clean. Great service! The room, the location were just perfect. Clean bathroom. no coffee filter. occasional "lost in translation moments.